If all you need is love, added with delicacy, beauty and tenderness, then these two gorgeous new titles from the home of New Frontier Publishing are for you. 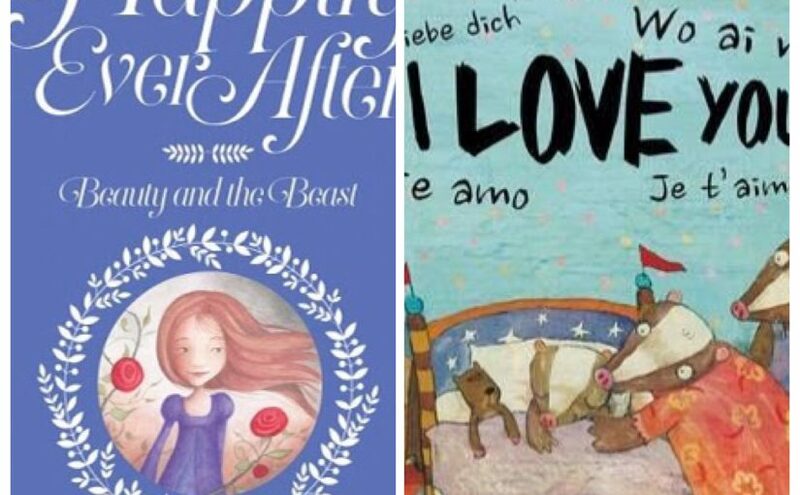 A classic fairy tale and a global sensation, both possessing the ability to melt your heart. 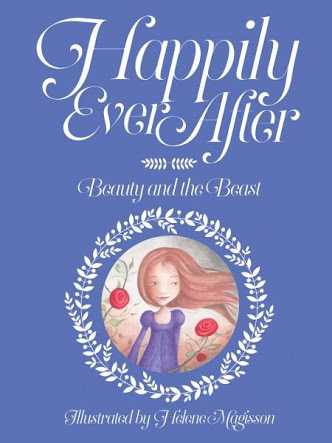 Happily Ever After: Beauty and the Beast, is another beautiful book in New Frontier’s (Alex Field) series of classic tales with a twist. The story of a young woman, regretfully sacrificed by her father to an unrelenting Beast, has been told with reverence and endearment. It also enlightens girls with a sense of power, evincing Beauty’s strength and courage in facing her fears and standing up for her rights. The story further relays a message of trust and loyalty as the relationship between the unlikely pair evolves. 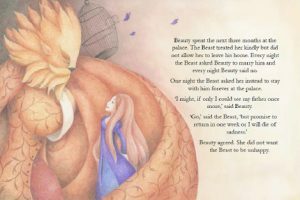 And finally, the ultimate commitment is made when Beauty agrees to live forever with the Beast and he is transformed into a prince. A true display of unconditional love. Helene Magisson has unequivocally supported this sweet tale with her soft-paletted, fluid and gentle illustrations. She has created magnificent atmosphere with the muted tones of blues and oranges, beautifully depicting both the contrasts between Beauty and the Beast as well as their tendency to naturally complement each other. The subtle symbolism of the caged butterflies, eventually trading places with the wicked fairy, is clever, and most intriguing for its astute readers. 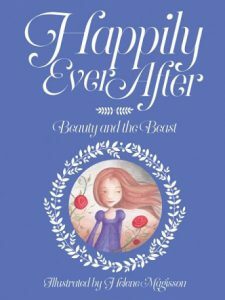 Happily Ever After: Beauty and the Beast has a modern edge whilst retaining the charming essence of the classic. A keepsake treasure for any princess-loving youngster, and especially perfect timing with all the current ‘Beauty’ hype! 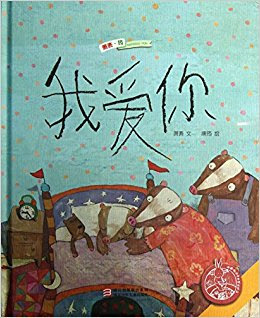 I Love You, written by Xiao Mao and illustrated by Tang Yun is a special picture book specifically about three special, little words. It has a universal appeal that any preschool-aged child, around the globe, can relate to. It is fun-loving, pure, reassuring and irresistibly adorable. ‘I love’ how this book encourages a sense of humanity and togetherness, where we can all, including the animals, live in a world of peace and fondness towards one another and our environment. When the tall-necked Ms Giraffe writes words in five different languages on the board at school, Little Badger takes a particularly keen interest. As it turns out, each phrase translates into the same meaning: I Love You. 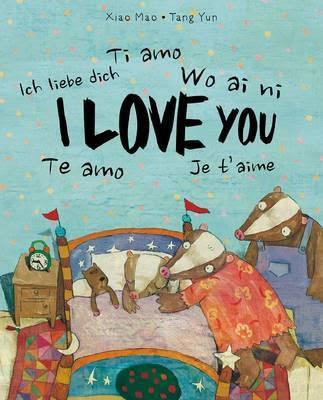 With her best Chinese, Italian, French, German and Spanish, and English, Little Badger professes her love for everything around her, including Mum and Dad. ‘Ti amo, little tree.’ ‘Te quiero, pretty flowers.’ ‘Wo ai ni, cloud.’ ‘Ich liebe dich, rice.’ ‘Je t’aime, underpants.’ Once she is fluent she can finally rest. Now Mum and Dad can practise, too! 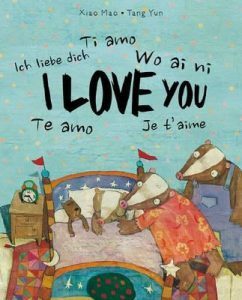 Wonderfully dense, textured paintings fill the pages with natural, warming tones, perfectly suiting this wholesome, meaningful story of love, appreciation and cultural integration. There is also a sense of cheekiness and humour that certainly reflects the age of the readers and the engagement when learning something new. If any book can send good, loving vibes your way, it’s I Love You. It provides opportunities to explore dialect in one’s own community and beyond, and reinforces that universal bond between children and their carers. So let’s celebrate our world’s rich diversity, and affections, one language at a time!